I genuinely really enjoy having the children at home in the school holidays although it isn’t always easy keeping everyone entertained and even harder to mange my workload which has already become almost impossible with a 1 year old. I tend not to plan lots of day trips partly because of the cost and partly because we are very busy in term time, so I like to give everyone the chance to sleep in a little and have the time to create their own entertainment. Sydney and Hannah are still at an age where they will spend a morning creating a school or a hospital for their teddies and I feel like I should nurture that kind of imaginative play while I still can. They both love to make things, especially if it involves a cardboard box! Zak at age 11 is a little harder to entertain. He likes to go for bike rides, meet up with friends and play tennis. We bought a small tennis net last year and it’s been brilliant for encouraging the girls to play with him more, but there’s still times when he’s left out, especially if none of his friends are around. We’re slightly limited with day trips in the week as we have baby Charlie to think about and I generally have work to do. I usually try and book a few camps for the children to give them a little variation and something a bit different to do. Sydney and Hannah are usually a bit more reluctant than Zak, so when Super Camps asked if we wanted to try one of their activity days I jumped at the chance. Zak was already doing a swim course so I booked both girls onto a day at Sherfield School. They were both keen to go, although a little wary about not knowing anyone. Did you know Super Camps organise multi-activity holiday camps around the country for children aged 4-14? Activities include team building, arts and crafts, imaginative games, outdoor exploration, quiet time, plus specialist courses during summer around LEGO® building, cookery and my personal favourite, the RAW Outdoor Adventure which I know my 11 year old would LOVE! I chose a multi-activity day for Sydney and Hannah as they love sports and arts and crafts so I knew a combination of the two would be great for them. As we drove into the school grounds their worries seemed to disappear as they took in the beautiful surroundings. When we arrived we were checked in by a lovely member of staff and taken to the sports hall for a safety briefing. The day was split into several parts and their activities included a scavenger hunt, making clay animals, kwik cricket, archery and more. 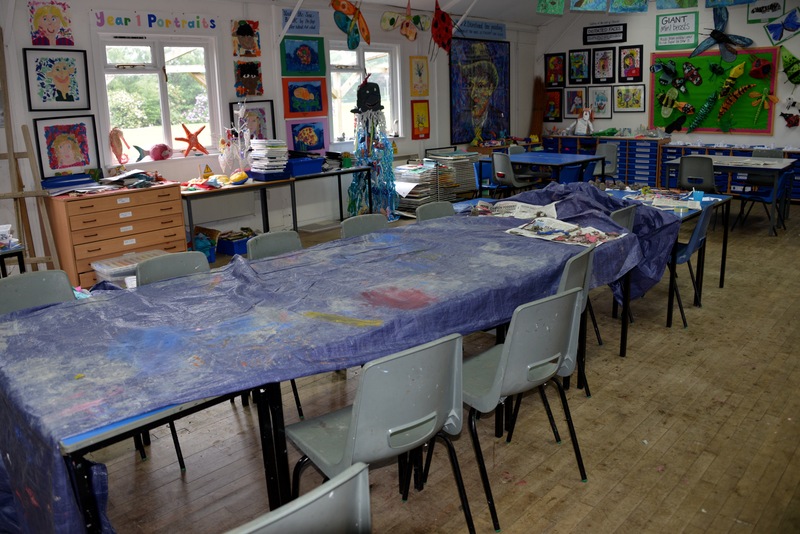 The photo below is the art room. Sherfield School is an amazing location for the activity camps. I’d love to see the specialist courses in action too. I arrived a little early to pick up for a tour of Sherfield School and was thrilled to see the girls playing separately with other children in the afternoon break and both looking very happy. As soon as they saw me they asked if they could go back the next day, which is pretty high praise for Super Camps! I love that they spent most of the day outside, in a beautiful location, making new friends and memories together. 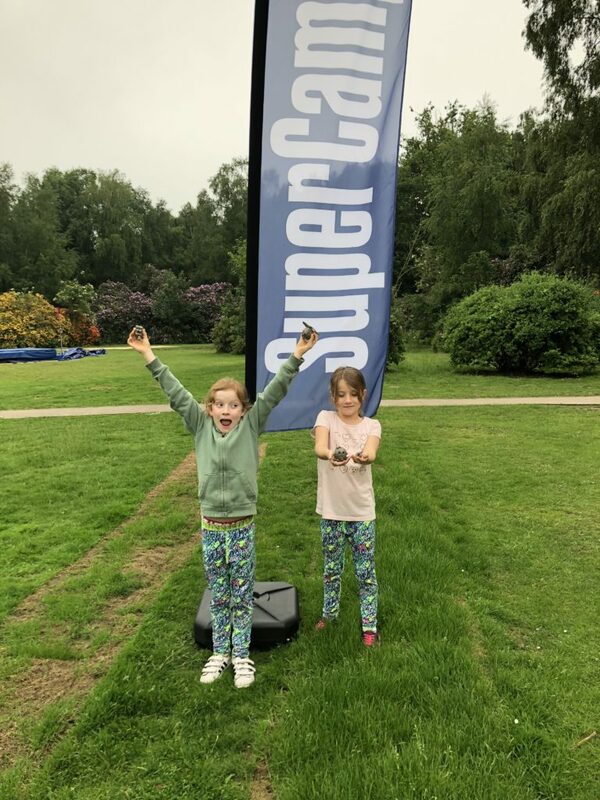 I’ll definitely look into booking some days at Super Camps over the summer holidays as I was really impressed with the location, friendly and cheerful staff and mostly just how much Sydney and Hannah enjoyed their day. I love the idea of the specialist courses too. I think a whole week would allow the children to make some really good new friends, one day just wasn’t enough. Sydney says: ‘I really loved my day at Sherfield School, the gardens were huge. My favourite part was Kwik Cricket and making our clay animals‘. 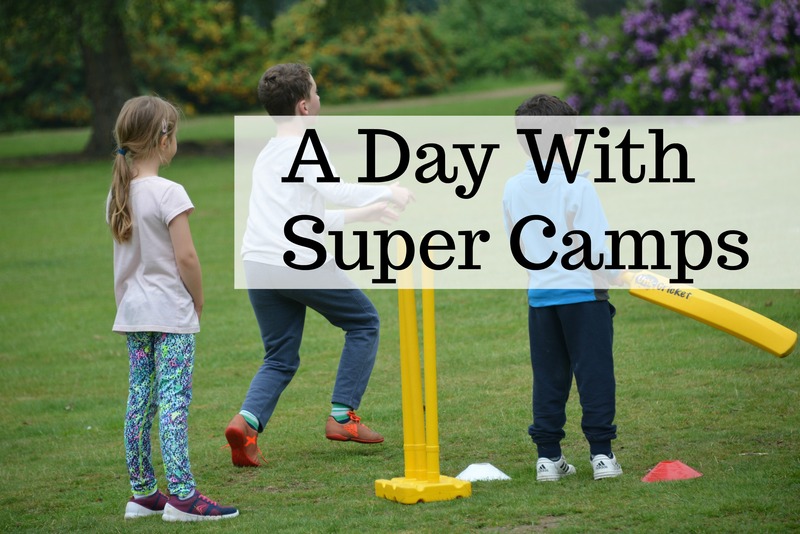 I’m working with Super Camps and BritMums promoting the #SuperCampsKids campaign sponsored by Super Camps. 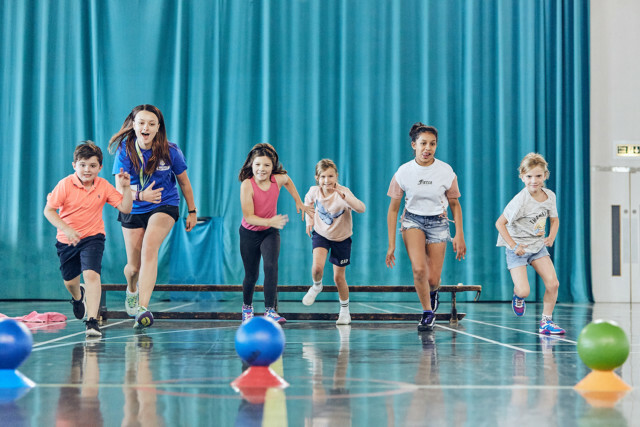 Visit https://www.SuperCamps.co.uk to find a camp near you. Supercamps look amazing. We children spent a week there once and loved it. Supercamps sounds like a really cool event to go and visit. I love that they cater for such a wide range of ages, there really is something for everyone. This looks amazing. Like you I love the school holidays too but find it trickier with the older two so this looks perfect. This place looks amazing! Perfect for school holidays! Yes, definitely. We can’t wait to use them again. Now this looks great FUN! Oh this looks AMAZING fun! My kids would love it – off to find out more about locations etc! I am very much like you, I love having the girls at home over the summer. No frantic morning school runs, lazy mornings and just good time together. My girls have never been huge fans of going off for the day without me but it looks like this could be quite tempting for them!! I do like having my son around, but he gets so bored, so easily and has so much energy. Super Camps would be perfect for him! The themed activities look great, don’t they? We’re really looking forward to trying out SuperCamps over the summer. Looks like they had a great day. Super Camps sounds amazing. It’s great that the girls settled in well and made new friends. They really did have a fab day and are hoping to visit again over summer. This place and themed activities look amazing. fantastic way to spend some time. I think this place perfect for the school holidays.